San Diego State is hoping to start its season with two consecutive wins when it faces Arizona State this weekend in Tempe, Ariz. The last time the Aztecs went 2-0 at the start of the season was in 2011 but the Sun Devils won’t make it easy for them. Under the new offensive coordinator Billy Napier, ASU has revamped its passing attacks, which has the potential for big plays. The Sun Devils demonstrated that potential last week in the 37-31 win over the New Mexico State Aggies. ASU quarterback Manny Wilkins threw for 300 yards and two touchdowns in that game. San Diego State coach Rocky Long, however, is not discounting how deep ASU’s bench is. The Sun Devils, however, are not consistent in their offense. In their season opener, the offense scored on their the first two drives and didn’t score again until the third quarter. The Aztecs, however, have been consistent in their defense. 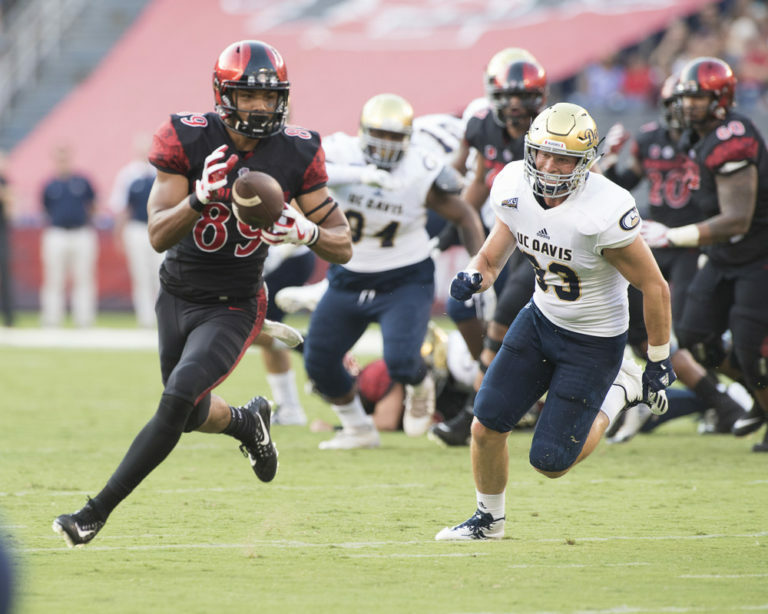 Last week in the win against the UC Davis Aggies, San Diego State’s defense forced three turnovers (including two interceptions) and recorded eight tackles for loss. Since 2015, the SDSU leads the nation in interception with 51. Saturday’s game is one of two back-to-back meetings with a Pacific 12 Conference team. Saturday’s game starts at 8 p.m. and will be televised nationally on the Pac-12 Network.